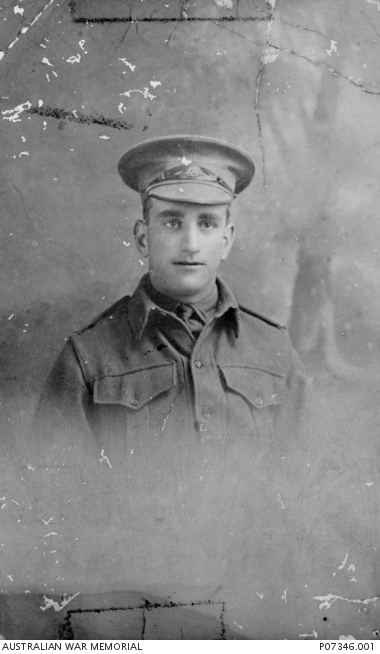 Studio portrait of 2469 Private (Pte) James Laurence McGill, 55th Battalion, of Annandale NSW. A printer prior to enlistment, Pte McGill embarked on HMAT Aeneas (A60) on 30 September 1916. He served in the Somme and was killed in action at Peronne on 2 September 1918.